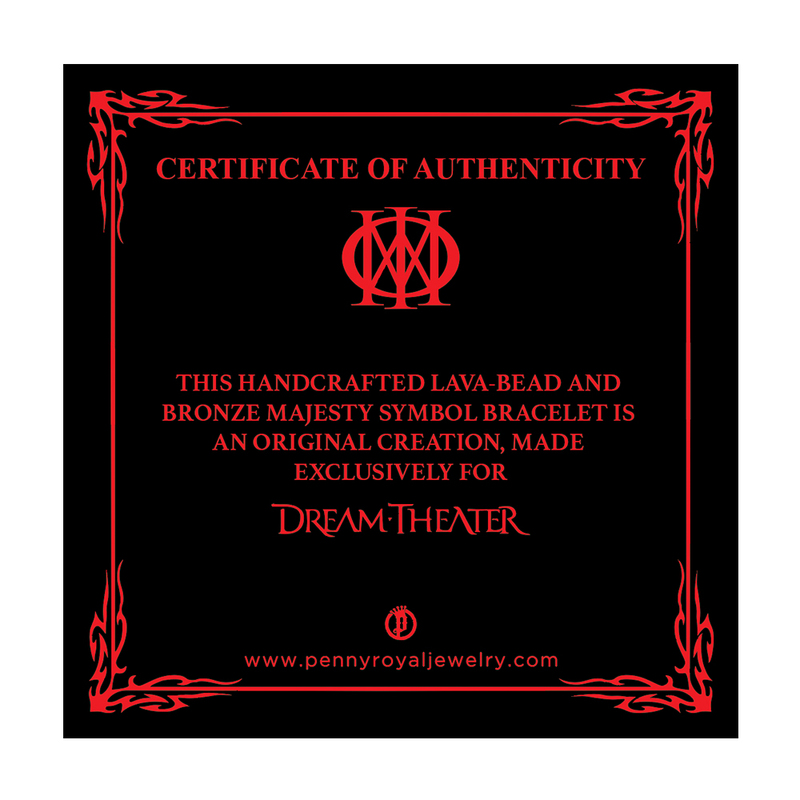 This exclusive, custom-made lava-bead bracelet is handcrafted, and features an oxidized bronze Majesty symbol bead at the center. 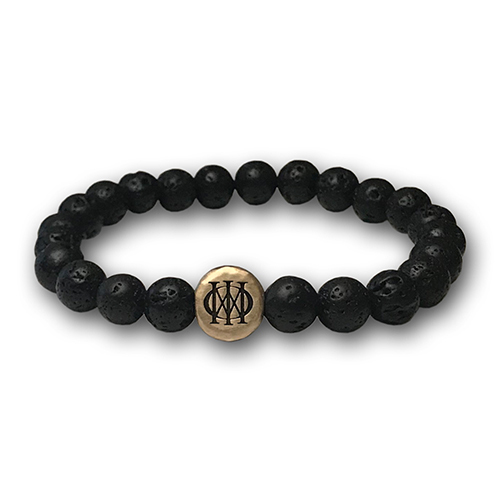 The black, textured lava-bead bracelet looks great as an everyday accessory, and plays well when mixed with lots of metal (like James wears his). Certificate of authenticity card included with each.